In the same way that a number can be represented by an image (and then the image imagined in a story that helps recall), a month date can be memorised by learning 366 images for the 366 days of a leap year. 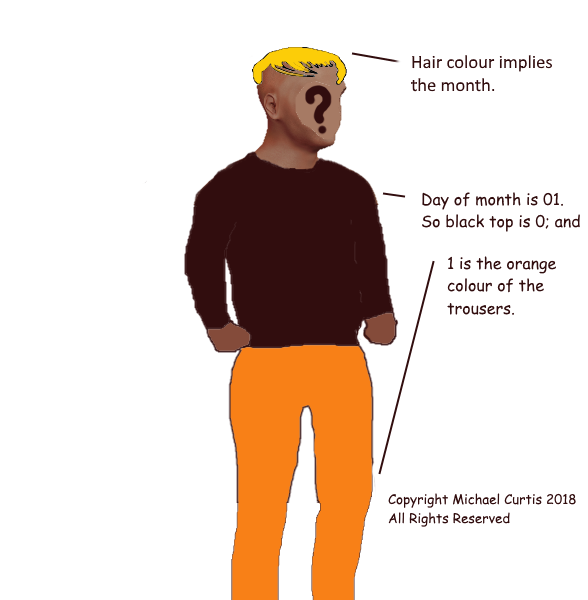 The hair colour indicates the month; the clothing top is a colour to represent 0 or 1 or 2 or 3; and the trousers are one of 10 colours for digits 0 to 9. The year 1945 could be memorised by using the image for 45 and hoping that my regular memory knows that the century is the 20th century: 19..
An imaginary story involving the January 1st person and the person who represents 45 would be a representation of January 1st 1945. Note: Far down the 'People from 00 to 99' article, you see suggested images for the months from January to December. So that is a visual way of memorising a month rather than a date within a month.